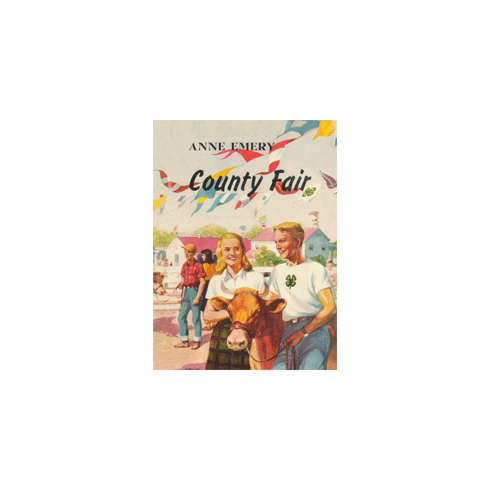 The sweet smell of new-mown hay and the simple beauty of Indiana's farm land fills pretty young Jane Ellison with a wish to exchange her town life for the fun and excitement of the country. She finds an outlet for her enthusiasm when she joins the Cloverleaf 4-H Club. With her new friends, Jane takes part in wonderful projects in sewing, flower-growing, baking, and cattle breeding. There is Chuck Ransome, too, whose quiet gaze brings a blush to her cheeks, even though Jane is puzzled by his inability to accept competition easily. But the approaching County Fair keeps all members busy with their many creative projects.